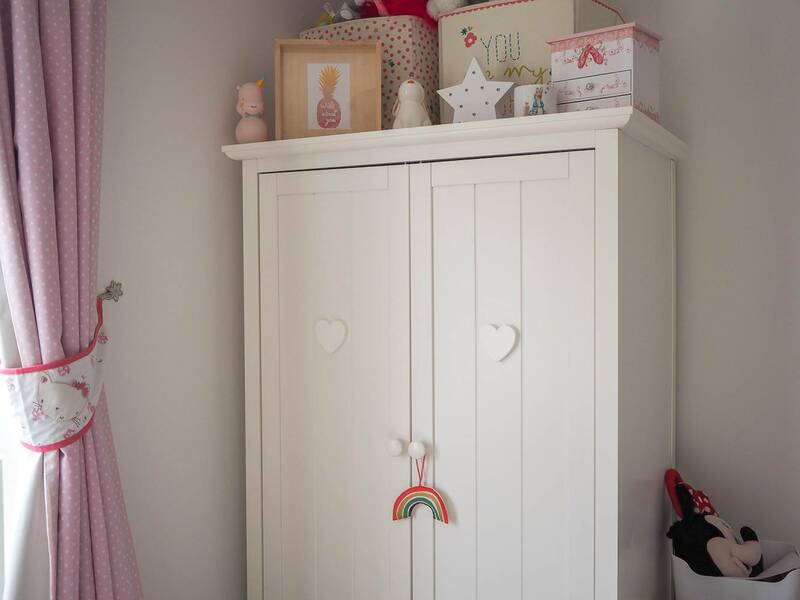 If you are a regular reader of my blog you will know that since Holly started school I have been redecorating the girls bedrooms. I’m absolutely loving doing it and the girls love them too. I’m at that stage now where its the real fun part and adding all the accessories and personal touches that can really make a difference to a room. 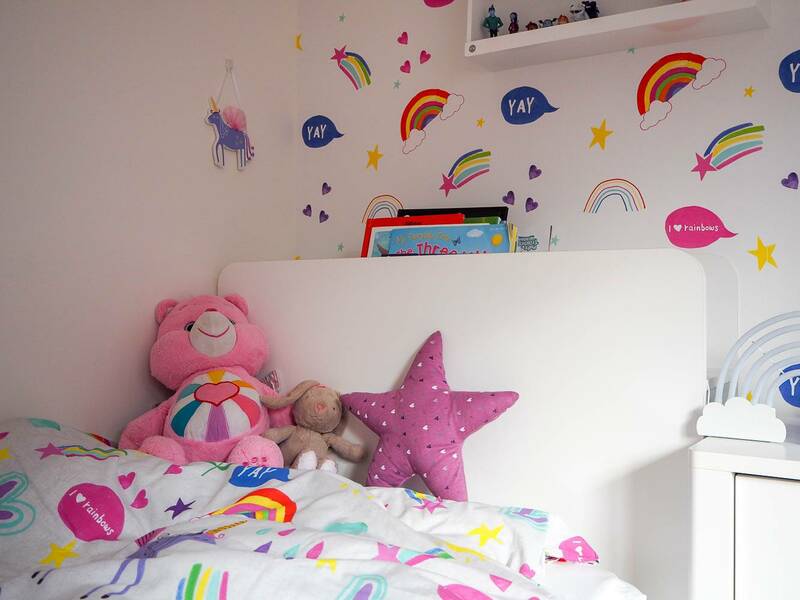 Holly’s room is rainbow and unicorn theme, she absolutely loves rainbows and when I saw her wallpaper I just knew I had to have it as the feature wall. 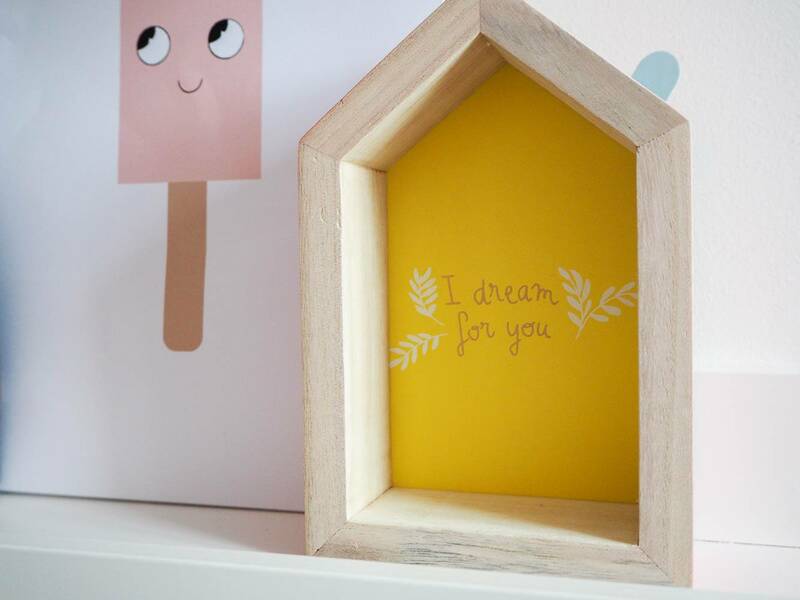 For Alice’s room, I wanted something that would grow with her and she wanted a pink room. I found some gorgeous wallpaper which she loved too and it all styled around that. Vertbaudet recently got in touch and asked if we would like to work with them and style the girls rooms with some of their products and I jumped at the chance. I love Vertbaudet and I have brought lots from them previously. Let’s start with Alice’s room. 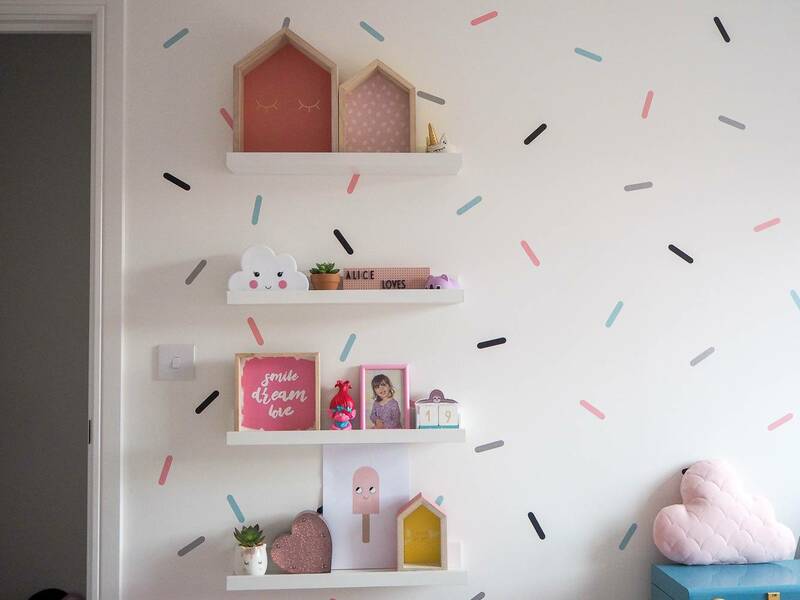 One of my favourite parts of Alice’s room, are these shelves. Mainly because it gives me a chance to put lots of bits and bobs on them and I just love how they look. 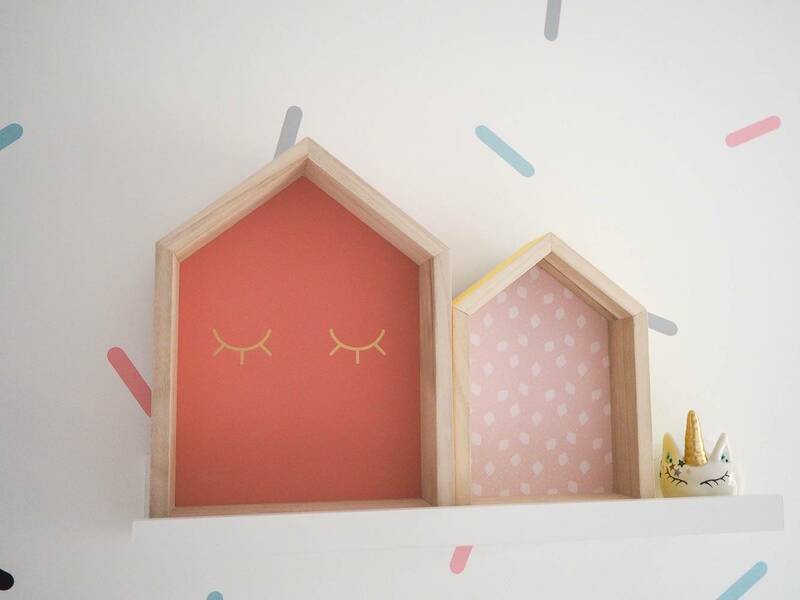 When I saw these beautiful Little House Bookcases, I knew they would be perfect sat on these shelves. I split them up, across 2 shelves and I’m really happy with how they look. I love the detail inside the houses, so cute! They really brought these shelves to life and I’m so pleased with them. I want to get some little bits to stand just inside of them too. 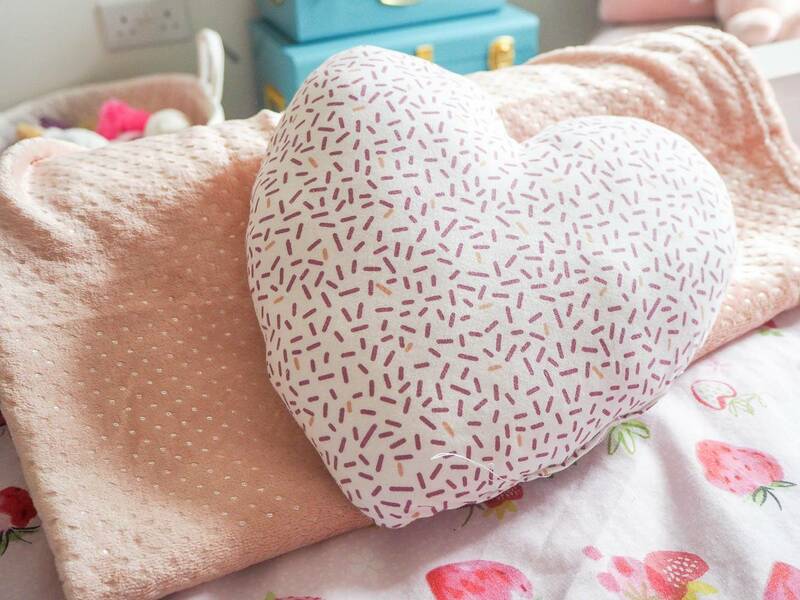 I love cushions, our house has cushions everywhere. I think they are a great way to style a room and also add some detail and colour to an area. I loved this pack of 3 cushions, as they were all so different and its not often you find a pack where they don’t all look the same. The cloud cushion I thought would look good sat on top of Alice’s storage trunks. Like I said before I think you can use cushions to add detail to an area and I think adding the cushion has made a real difference to the look. 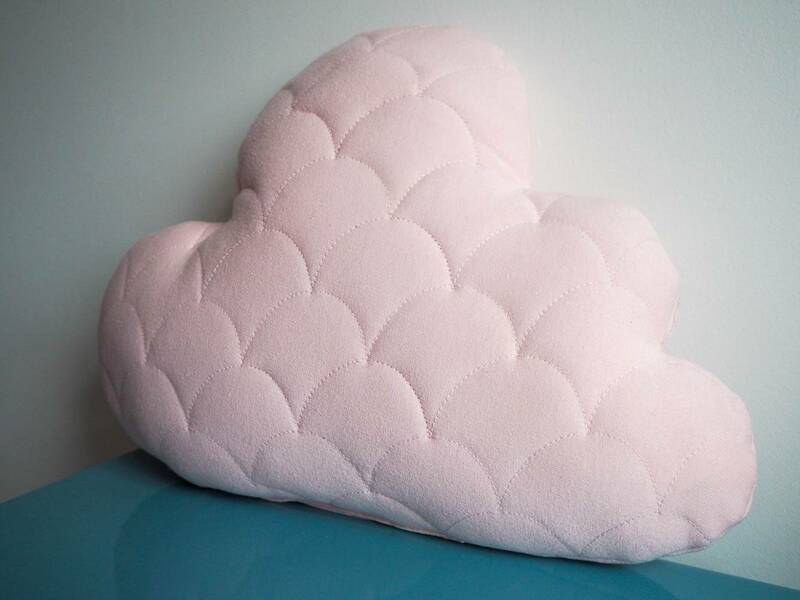 The heart cushion I’ve put at the bottom of Alice’s bed, on top of the also gorgeous pink fleece blanket that I got too. Alice says its so comfy and loves snuggling up with it at bedtime. I think they both look great together on her bed. 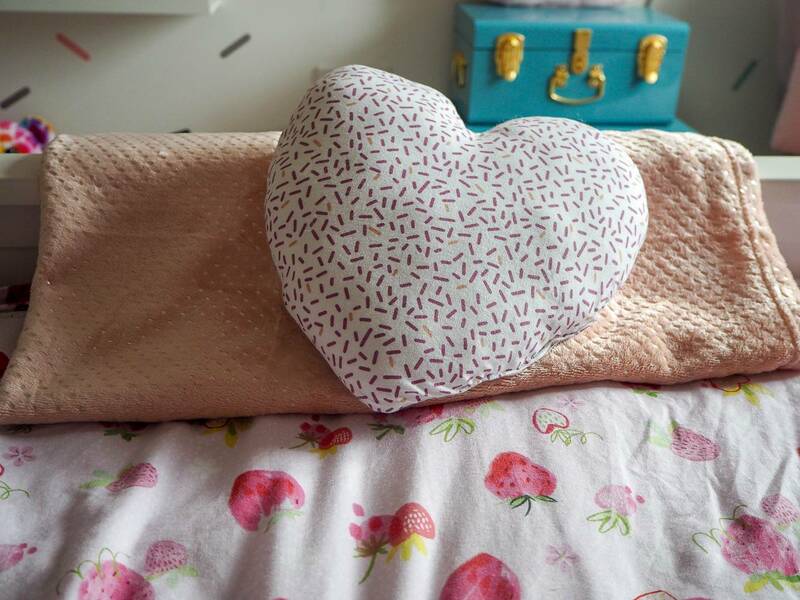 The 3rd cushion that came in the pack I’ve used in Holly’s room and I’ll share that with you in a bit. 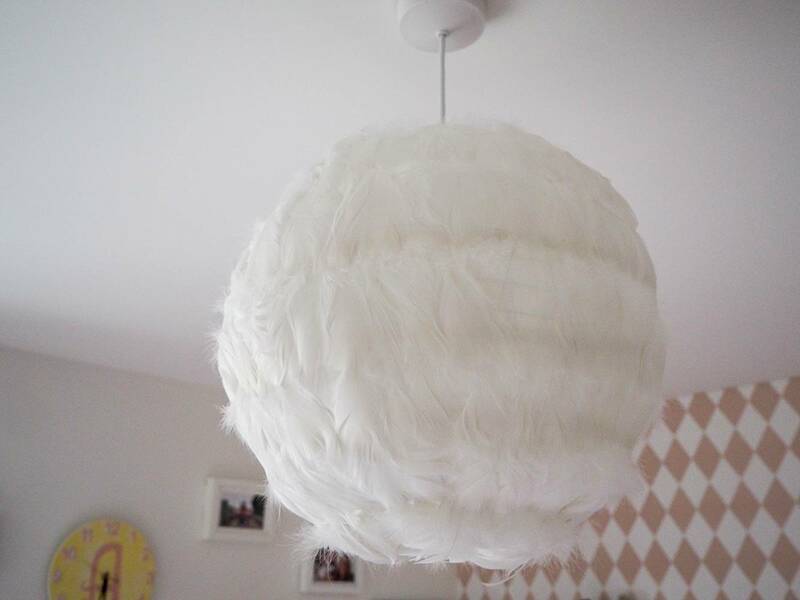 I’ve been looking for a lampshade that would work well in Alice’s room. I didn’t want a particularly strong colour, but I wanted something that would stand out and compliment the room. 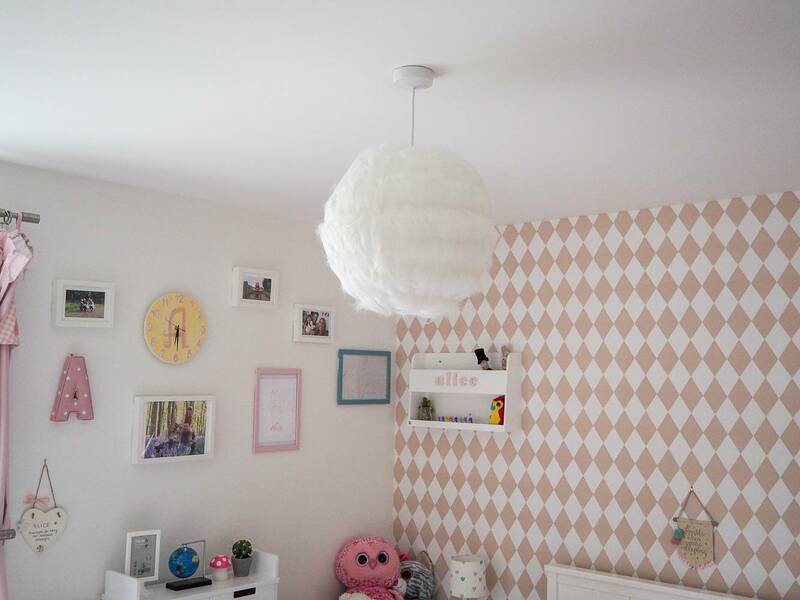 This gorgeous Plume Lampshade is just perfect for Alice’s room. It has the wow factor without being too much. When we were doing Alice’s bedroom we really wanted to include a desk for her. She loves to sit and write and I knew she would love it. 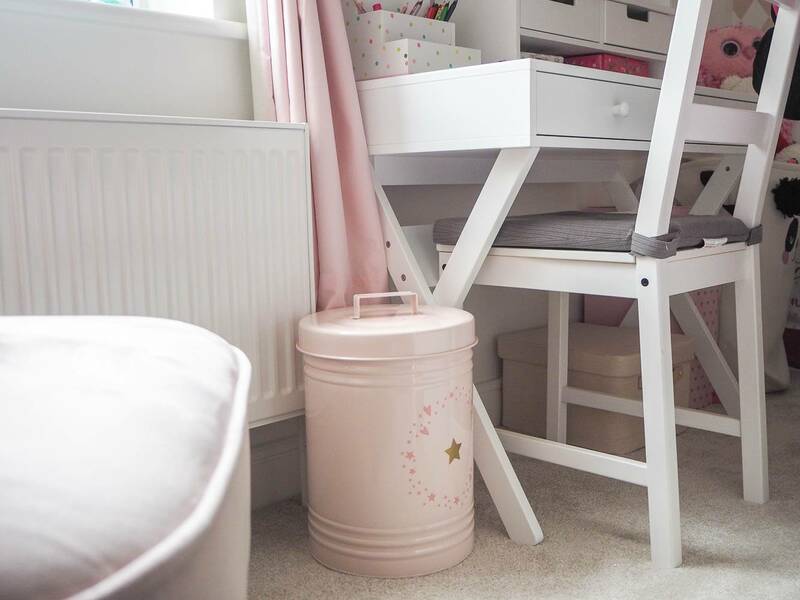 Of course children make a mess and you want to have a bin in their room, but bins can sometimes be ugly. 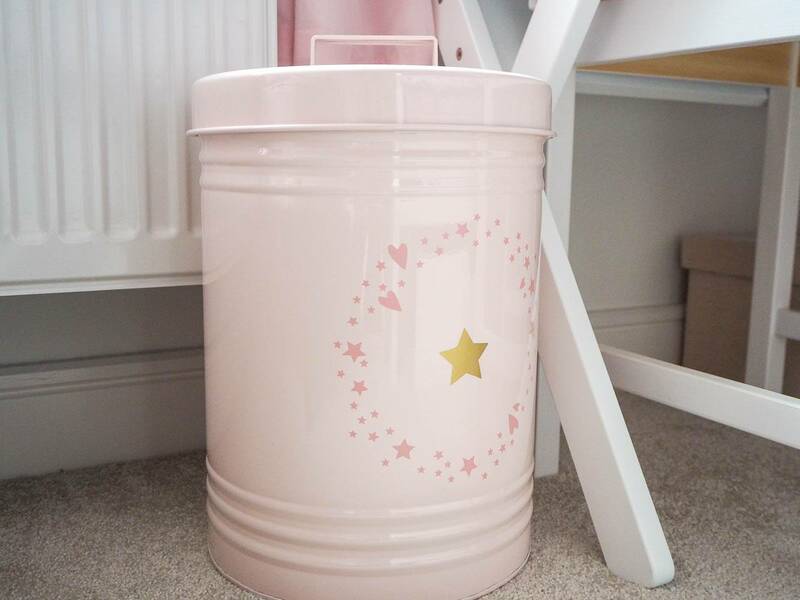 I was so pleased when I saw this pink metal bin It has a lovely detail to it and I think it fits really well in her room. And it has a lid, so many bins don’t and it means the rubbish is hidden too. 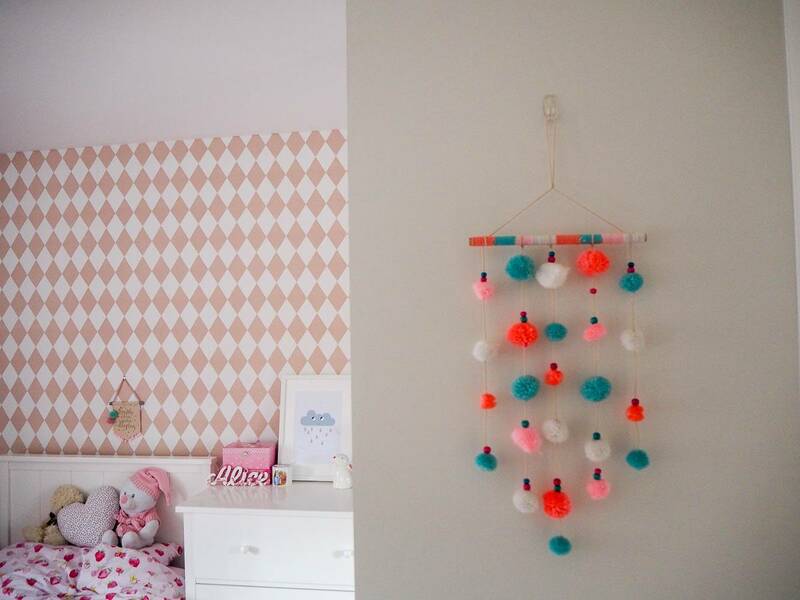 The final thing I got for Alice’s room is this beautiful Pom Pom Garland and I thought it would make this otherwise very plain white side of her wardrobe, a lot prettier to look at. It is also the first thing you see as you walk into her room and I love it. The colours all tie in really well to her bedroom theme and I couldn’t be more happy with it. Holly’s room didn’t need as much doing it, but I did get her a few bits. As I mentioned before I used the third cushion from the pack in Holly’s room. 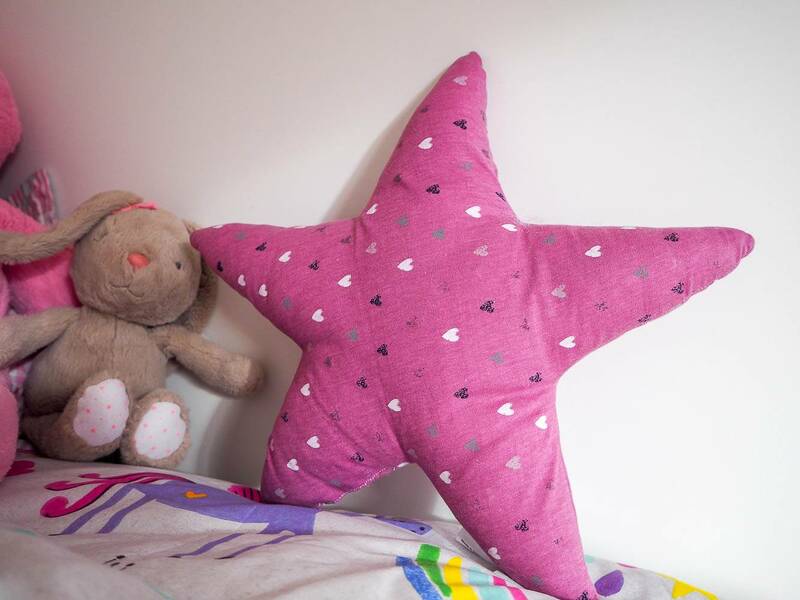 The purple star was a brilliant fit for her room and I love that you can buy a pack of 3 and spread them around the house. Holly loves it and it fits well with all the stars on her wallpaper. 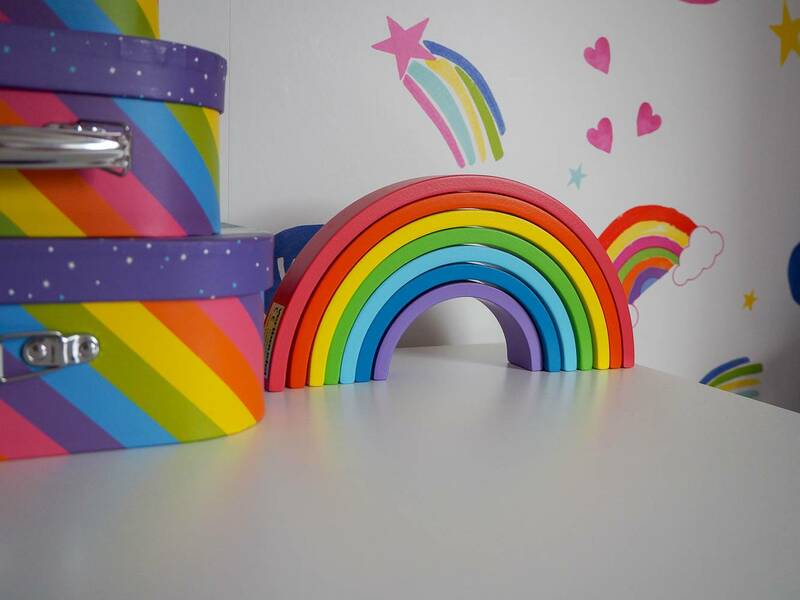 I also couldn’t resist this beautiful Wooden Rainbow Puzzle for her room, could it be anymore perfect? As I said before Holly loves rainbows and she is always getting this down to play with. I love how pretty it looks sat on her unit. The final item I got was these pack of 3 felt Christmas decorations. I’m not actually using them as Christmas decorations, but that is what I love about styling a room. Think outside the box. 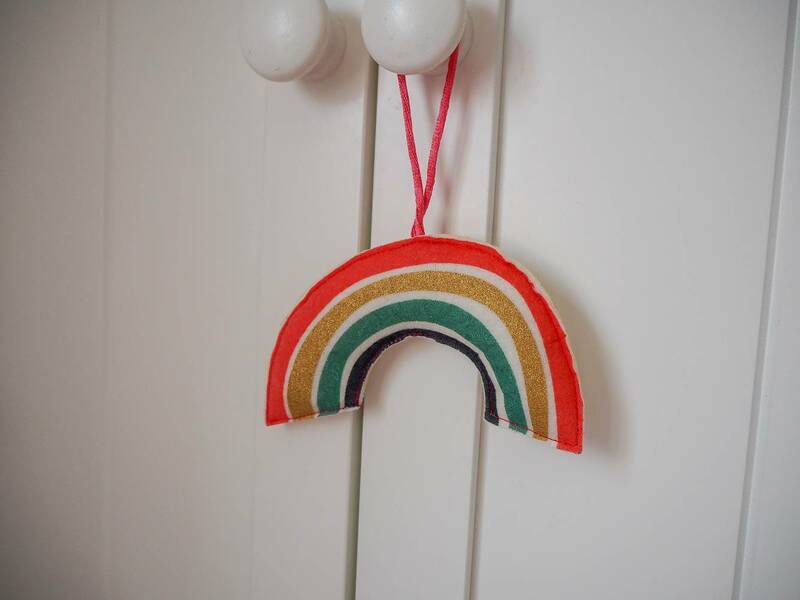 I’ve hung this cute rainbow decoration on Holly’s wardrobe door and I love it. It’s adds some colour and detail to her white wardrobe. 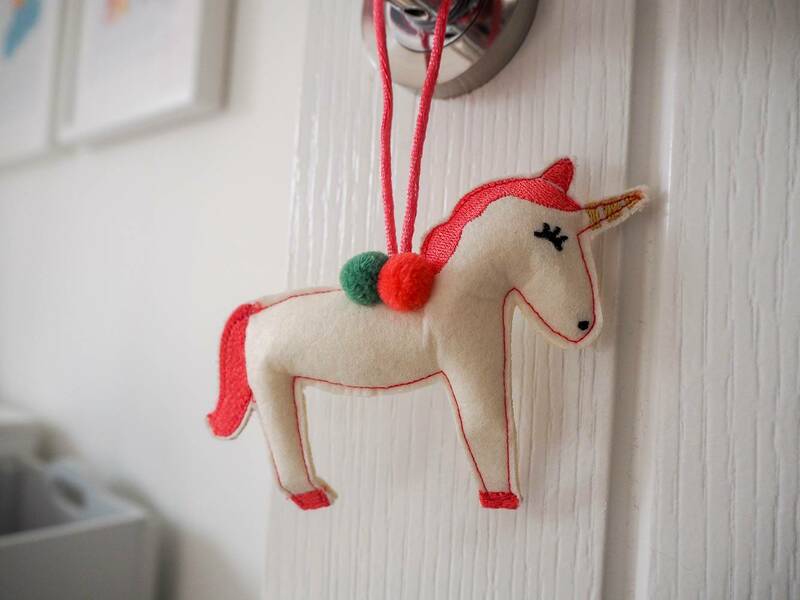 I’ve hung the unicorn one on her door handle, just to give you a little warning that you are about to enter a unicorn zone! I absolutely love all these items for the girls bedrooms. They’ve really made a difference to the look of their rooms and I was very impressed with the range of products Vertbaudet had to offer. It’s these little touches that can make it feel more personal to you. Disclosure: We are working with Verbaudet and they kindly sent us our products to enable me to write this post. All views, opinions and photos are my own. I absolutely love everything from Vertbaudet! 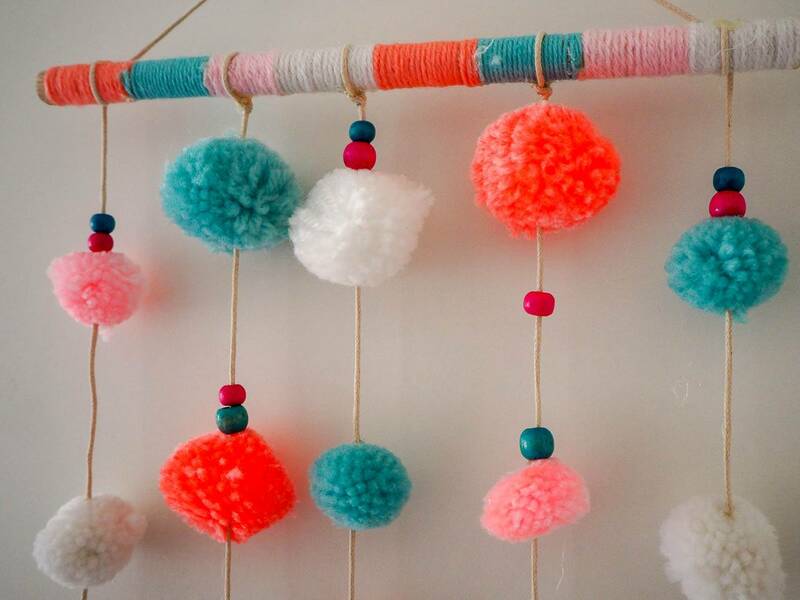 That pom pom garland is lovely and I just find all of their things really different and stylish. Such a lucky girl to have a newly decorated bedroom. It’s beautiful. I really need to do something to my boys’ room. We moved into our house in the summer and yet to do anything with it. Though I’ll be replacing unicorns with dinosaurs! I am sure your girls loved helping you choose items for this post. I am not surprised they love writing as well. Oh I LOVE Vertbaudet! I discovered them when the children were tiny and they are one of my favourite go to on-line stores. That lampshade is amazing! Gorgeous bedrooms! Oh these picks are gorgeous. 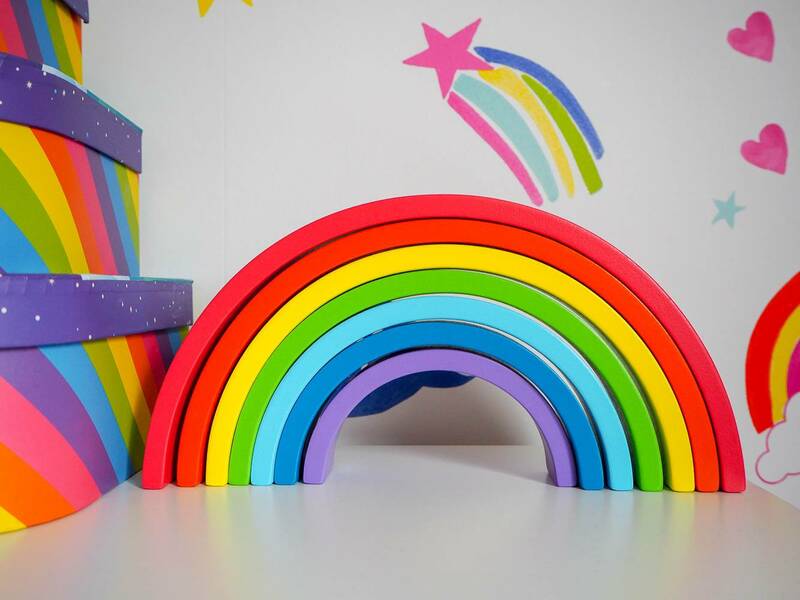 My daughter would love a room like these. I do love the felt decs. 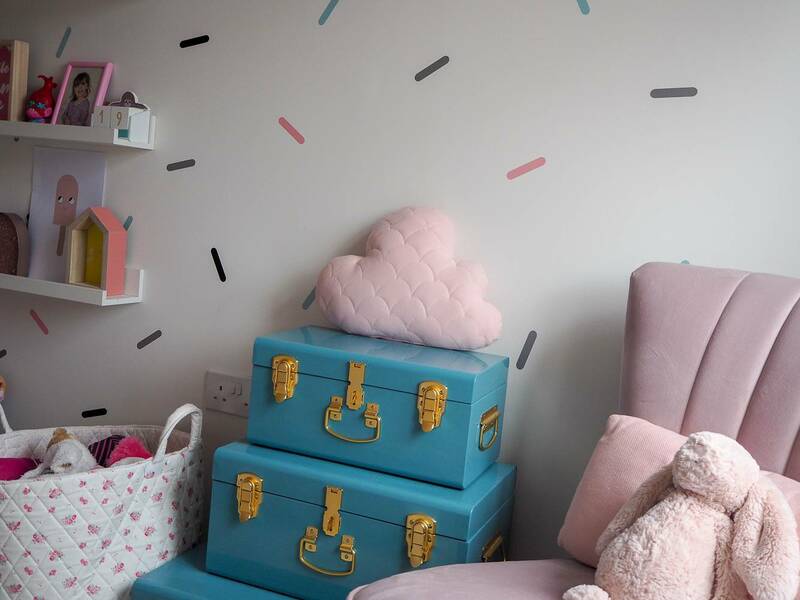 My goodness, this brings back memories of when I used to buy their items to decorate the nursery when the children were small! Wow they have some gorgeous pieces in fact I love them all! 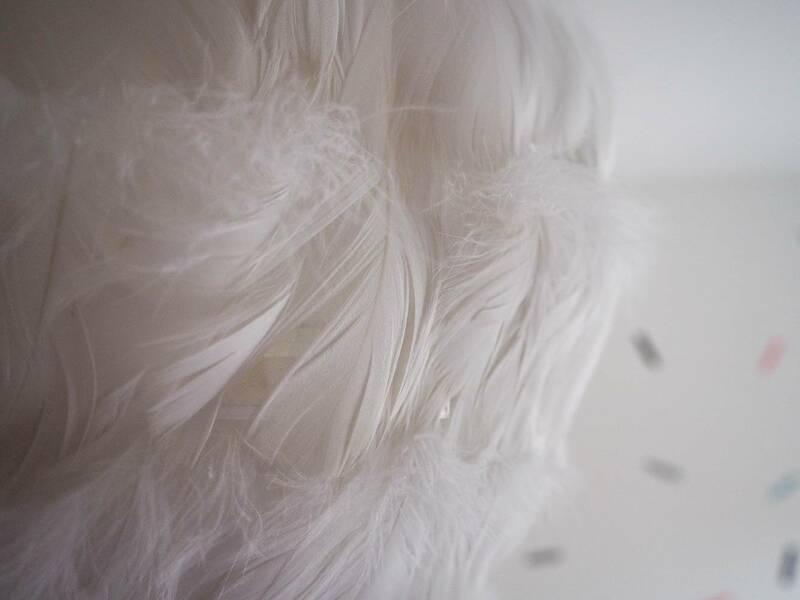 Particularly that plume light shade which is just so beautiful! Great decor items here. I love the overall theme. We love Verbaudet! You have picked some gorgeous things.